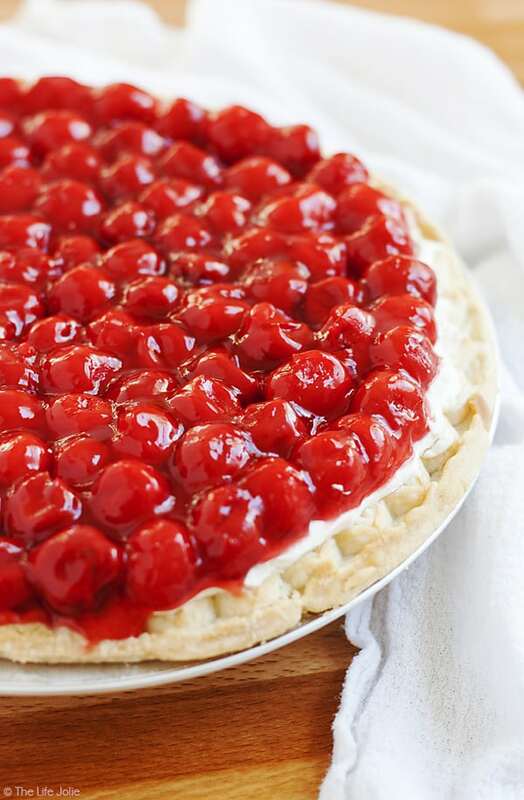 Rosie's Award Winning Cherry Cheesecake Pie - and easy and delicious dessert. Rosie’s Award Winning Cherry Cheesecake Pie is a favorite family recipe- it’s insanely easy to make and impossible to screw up. 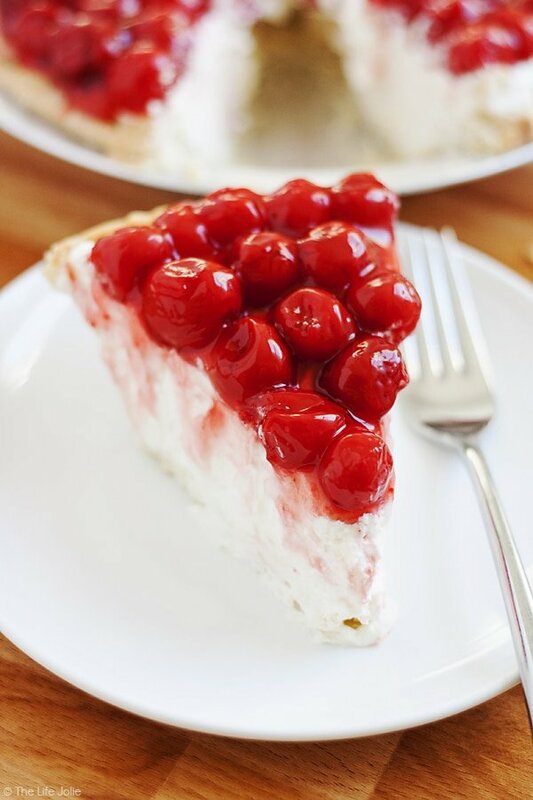 If cherry cheesecake and pie had a baby, this would be it! It’s is so good it will blow your mind! 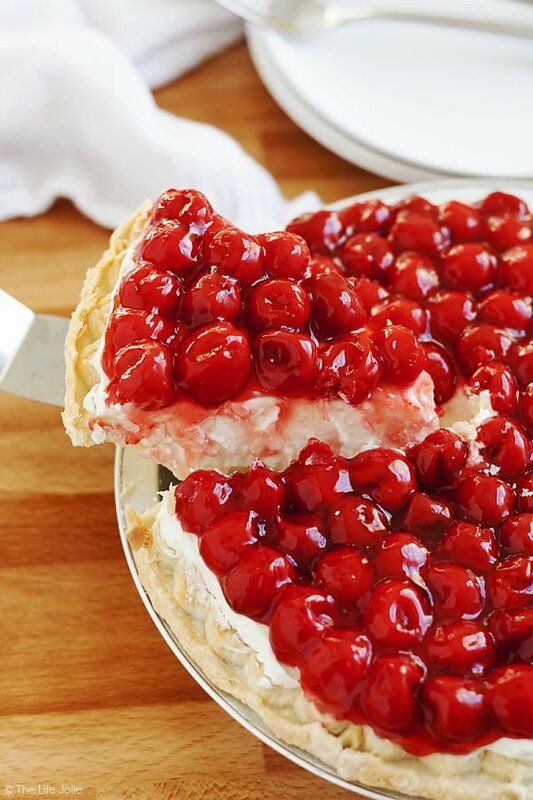 Cherry Cheese Pie has been making it’s way to dessert tables at many of our family gatherings for as long as I can remember. 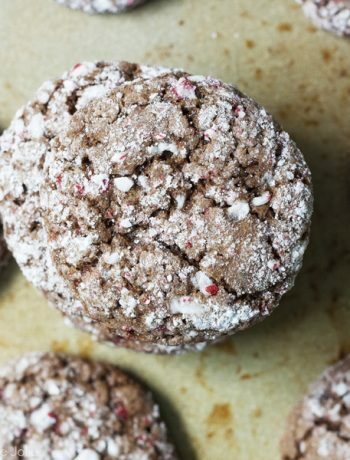 For years Grandma Rose would guard this recipe with her life, only sharing it with her inner-most circle. It wasn’t until her later years that she began sharing it freely, especially after she won an award for this at the Senior Center! And thank goodness because you guys, this pie is no joke! I need you to drop everything you’re doing and make it. This is not a drill. It really is that good! I mean think about it. This recipe is essentially combining two of the most magical things on earth; cherry pie (cheese pie?) and cheesecake (if I didn’t already, I’m sure I have your full attention now!). You’re setting yourself up for a win from the get-go. I’m serious when I say this is hands down the best cherry pie recipe even if its actually cream cheese pie with cherry pie filling on top. Semantics. One thing I love about this recipe is that it’s pretty hard to screw this pie up (and as we all know, I’m really good at screwing up pies). And then throw in the fact that you’re combining a few super-common ingredients. No more spending a million dollars on an ingredient you’ll use half a teaspoon of once and never touch again! 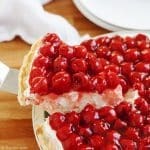 Andplusalso, the cherry-covered top looks incredibly beautiful on any dessert table, especially a holiday dessert table. Work smarter not harder and buy a frozen pre-made pie crust. Spend the time you would have spent battling with homemade pie crust watching The Office on Netflix and marveling about how it never stops being funny. Most aspects of this pie can be made ahead. You can bake off the pie crust and mix together the cheese pie filling. Then just assemble the pie the morning of your event and refrigerate until it’s time to serve! You can totally make it the night before as well, I just prefer to do it on the day-of. I’ve found that the only really labor-intensive part of assembling this pie is putting the cherries on. 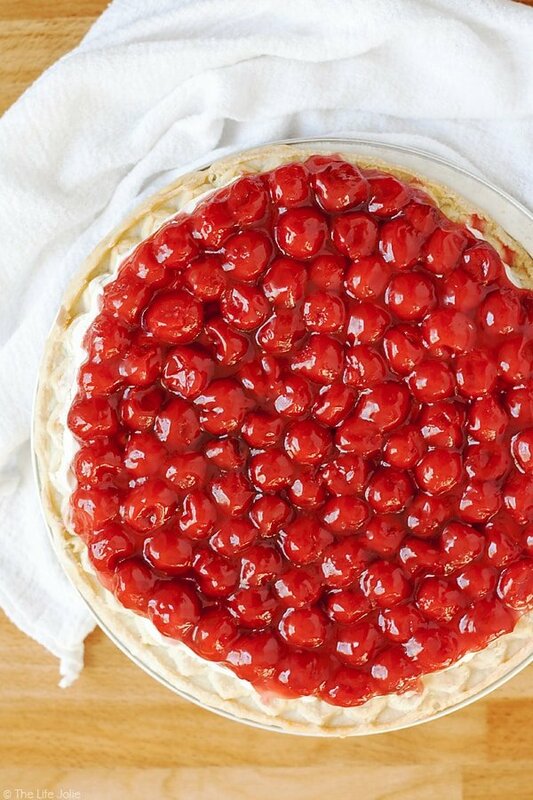 Now you may be tempting to just dump a can of cherries on top and call it a day. I was. And one time, many years ago, I actually did. Let me tell you, Rosie had some choice words for me, expressed in a way that only Rosie could (lets just say she really wasn’t one to mince words!). She was clear that you must put the cherries on top one-by-one so that each and every piece of pie was fully covered in all of those delicious cherries. For placing the cherries, I find it easiest to start in the middle and build the rest of them around that middle cherry, removing extra syrup before adding each cherry. My mom goes from the outside-in but it’s fine either way. Anyway, get thee to the kitchen and get this pie going! I like to bake off the crust and mix together the cheese mixture the night before so that all I have to do is assemble it in the morning (although the pie will be just fine if you’ve made it in full the night before). 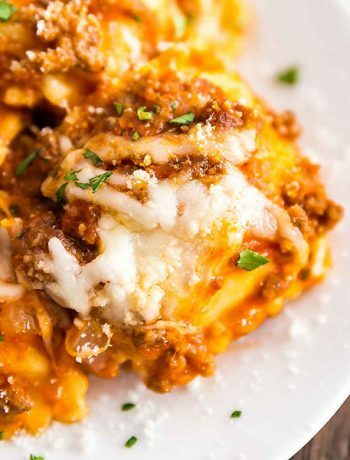 Consider yourself lucky if you have leftovers, we usually don’t! Rosie's Award Winning Cherry Cheesecake Pie is a favorite family recipe- it's insanely easy to make and impossible to screw up. If cherry cheesecake and pie had a baby, this would be it! It's is so good it will blow your mind! In one bowl, beat the heavy cream until it becomes whipped cream, forming nice, fluffy peaks. Set aside. In another bowl, beat together the cream cheese, confection's sugar and vanilla extract until well combined. Gently fold the cheese mixture into the whipped cream to combine. Pour the cheese mixture into the baked and cooled pie crust and smooth the top. 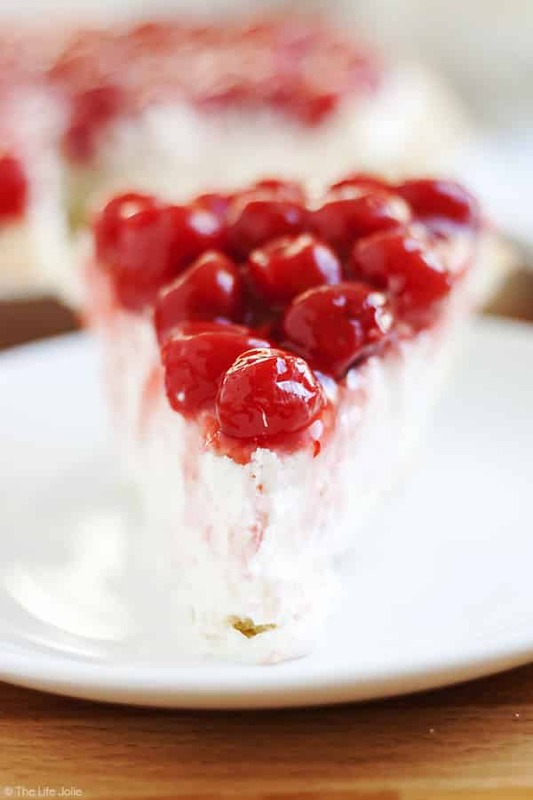 Arrange the cherries on top of the cheese mixture in concentric circles until the top is fully covered. Looking for some other easy pie recipes? Black Cherry Lemonade Bourbon Slush An Experts Guide to Enjoying Watermelon- perfect for entertaining and on-the-go snacking! December 7, 2015 at 11:18 am Thank you- couldn't believe how much more fruit they had than other brands! December 7, 2015 at 11:13 am I hope you enjoy it- I brought one to work and my coworker who is also not a fan of cherries enjoyed it! December 8, 2015 at 12:08 pm Thank you for this comment- it made my heart smile- I miss Rosie every day :) I hope you enjoy it! 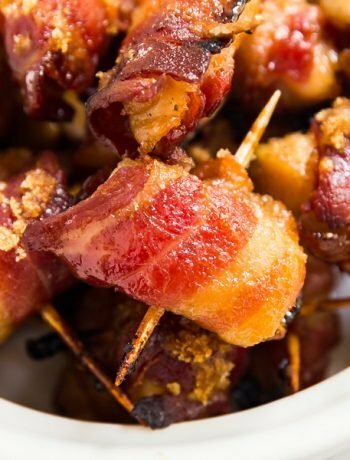 December 14, 2015 at 12:05 pm I can't wait to make this for my family! My hubby's aunt used to make a cherry pie that he dreams of eating again (she is in eld elder care now). I think your recipe will bring back all of those memories for him! Thank you! December 15, 2015 at 4:42 pm I hope that you and he enjoy it- this definitely brings back the best memories for me :) Let me know how it goes! December 14, 2015 at 1:03 pm Can you buy a frozen pie crust or the pillsburt pies that are pre made and you just roll out? December 14, 2015 at 9:06 pm I just.made this tonight and it was so good. Family loved it as well. I ❤ ? pie. ? December 15, 2015 at 3:58 pm Awwww, I'm so glad to hear that you and your family loved it as much as we do :) This comment totally made my day! April 25, 2018 at 8:37 am Do you happen to have grandma's pie crust recipe? Or any pie crust recipe, not sure what works best. Thank you! June 6, 2018 at 10:14 am Try a cream cheese pie crust. Two sticks butter, 2 cups flour, one 8oz pkg cream cheese. Mix together in food processor - when it gets too thick for processor, remove and continue to mix with your hands. It’ll be like cookie dough. Doesn’t take long. Unlike finicky traditional pie crust, the more you work this stuff, the better. Roll out as usual. Works for sweet or savory. You’ll never look back. June 6, 2018 at 9:09 pm This is brilliant- thank you so much, I definitely need to try it! January 2, 2019 at 5:21 pm Awwwww you totally made my day! It's our favorite- I'm so glad you guys loved it!